Capcom plans to announce a new game in their Versus series this year if Tatsunoko vs. Capcom: Ultimate All-Stars sells well enough in the U.S., the game's producer tells Kotaku. When Tatsunoko vs. Capcom: Ultimate All-Stars hits stores and the Wii next week it will be the seventh fighting game from Capcom to blend characters from another company with theirs into a casual fighting game. Game producer Ryota Niitsuma calls the title a revival or resurrection of the series. "I would love to do more versus series, more types of games like Marvel Vs. Capcom 2," Niitsuma said. "There are all of these possibilities working with other companies, seeing what we could do with them. There are so many game companies I'd love to work with." 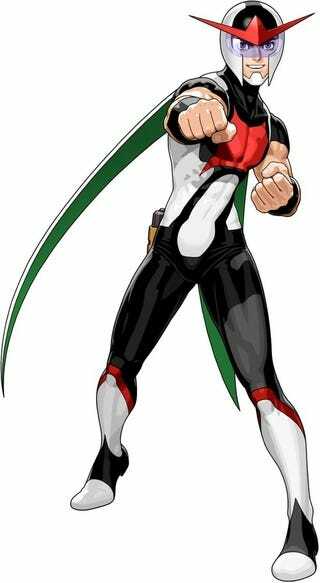 In Tatsunoko vs. Capcom: Ultimate All-Stars players get to pick from some of Capcom's most popular characters as well as characters drawn from the five-decade history of the Japanese animation company that created classics like Speed Racer, G-Force, Tekkaman and Gatchaman. Often the versus games have been driven by fan requests to Capcom, Niitsuma said. "We get requests from fans to mix our characters with other video game characters all of the time," he said. And for this series of games in particular, Capcom pays close attention to what those fans are saying. "Based on those requests we might be able to do something with our characters and another company's characters for a future game," Niitsuma said. "Keep your eyes open and your ears open for some kind of news in the future." But how soon in the future? "If sales are really good (for Tatsunoko vs. Capcom: Ultimate All-Stars) then you can see an announcement within this year," he said.